No matter how sophisticated you may be, a large granite mountain cannot be denied – it speaks in silence to the very core of your being. Lobuche East Peak is one of the popular trekking peaks in Nepal and offers a fantastic adventure of technical climbing experience. There is two distinct summit of Lobuche Peak — Lobuche East (6119m) and Lobuche West (6145m) — separated with each other with considerable distance although connected by the same continuous ridge. Lobuche peak considered more challenging and technical than other popular trekking peaks like Island Peak or Mera Peak. And all the efforts will be well-paid on reaching the summit to observe the mesmerizing vista of Everest, Nuptse, Lhotse, Pumori, Ama Dablam and several others. 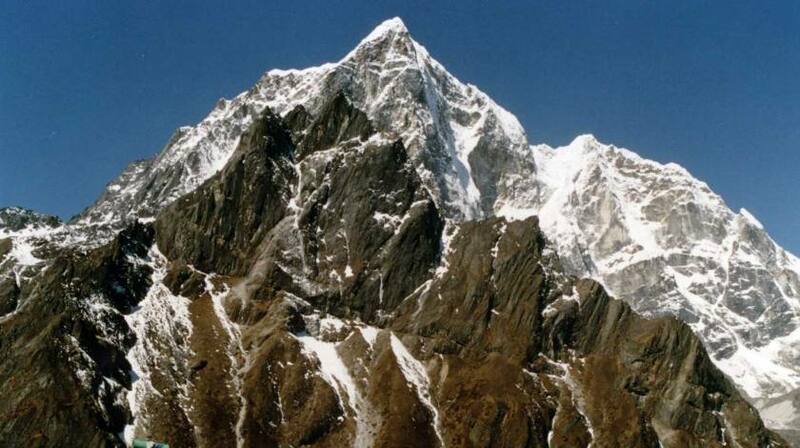 Also known as False Peak — Lobuche East was first climbed on 25 April 1984 by Laurence Neilson and Ang Gyaljen Sherpa. It is one of the beautiful peak located in the Everest region and very near to another popular trekking peak i.e. Island Peak. Lobuche Peak Climbing starts with a scenic flight from Kathmandu to Lukla and follows the traditional Everest Base Camp Route passing through the beautiful Phakding village, charming Namchee Bazaar, stunning Tyangboche Monastery and last high altitude settlement of Dingboche village until reaching small teahouse at Thukla. The magnificent view of Lobuche, Ama Dablam, Pumori and Tawache peak can be seen during the walk and it starts to fade as we change the track to reach Lobuche Base Camp. Before the climbing, our guide will brief you about the route, provide training on peak climbing technique and using climbing gears such as ice axe, harness, jummer etc which will definitely boost up your confidence and climbing skills and fully enjoy the experience. After the successful summit, we get down to base camp and follow the same trail back from where we started — at Lukla to catch our flight back to Kathmandu with happy memory. Another option is to do Lobuche Peak with Everest Base Camp Trekking - 17 days.